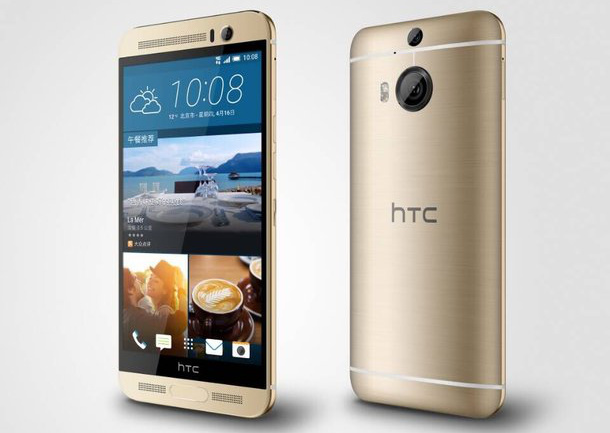 HTC unveils its latest smartphone to the One M-series. The company named it as One M9+ and as the name suggests, this one is slightly bigger as compared One M9, which was launched in Barcelona. Few days back the Taiwanese company came up with a sporting series named M8s. But still the manufacturer tries to bring something new to its customers. They always wanted to give its competitors a reason to compete and try to have an upper hand on them in future. Let us have a look into its specifics. The new One M9+ was launched in Beijing in China. The smartphone is built with the same design metal unibody just like its predecessors. But the display is slightly bigger compared to the earlier version. The new smartphone comes out with a Quad HD Display of 5.2 inches edge to edge. HTC uses MediaTek processors in the new model instead of old Qualcomm processors, which ultimately reduced the price of device. The new handset uses Octa core MediaTek MT6795T chipset with 2.2 GHz along with 64 bit. Also the 3 GB RAM ensures smooth functioning of the handset without any processing delays. The camera comes out with the old feature of Bright Ultra Pixel. This is same in case of front as well as for the rear camera. The rear camera features 20 MP which is enhanced with the feature of M8’s Duo Camera. Another special feature is the single touch fingerprint reader which is placed right below the screen. This will ultimately enhance the security features of the handset. The battery comes out with a capacity of 2840 mAh. This will ensure longer discharging life of battery which will promise long time functioning of the smartphone. The sound system of the new handset is really attractive. It features the BoomSound Front facing Stereo speakers. This will provide the users a better hearing experience when compared to other handsets. The new handset also supports Dot View case. The smartphone also supports 4G LTE data connectivity. It also supports WiFi and Bluetooth connectivity along with GPS tracking. HTC hasn’t revealed its pricing details. Also the releasing date of new handset across the markets is not declared. But its certain that the new smartphone will be made available in the market soon, since its specification details are released by the company. Initially it will be made available to markets in China and then it is expected to hit other markets across the world. The handset features certain color options also. It is available in Gunmetal grey, Amber Gold and Silver Gold. The external looks of these variants are so elegant that the consumer may get confused to choose the right handset. Hi, I am Vineesh Nair , a B.Tech in Information Technology.I have a passion for technologies and gadgets. I like writing technically engaging content, doing gadget reviews and doing research on latest technologies.You can contact me via vineesh288@gmail.com.